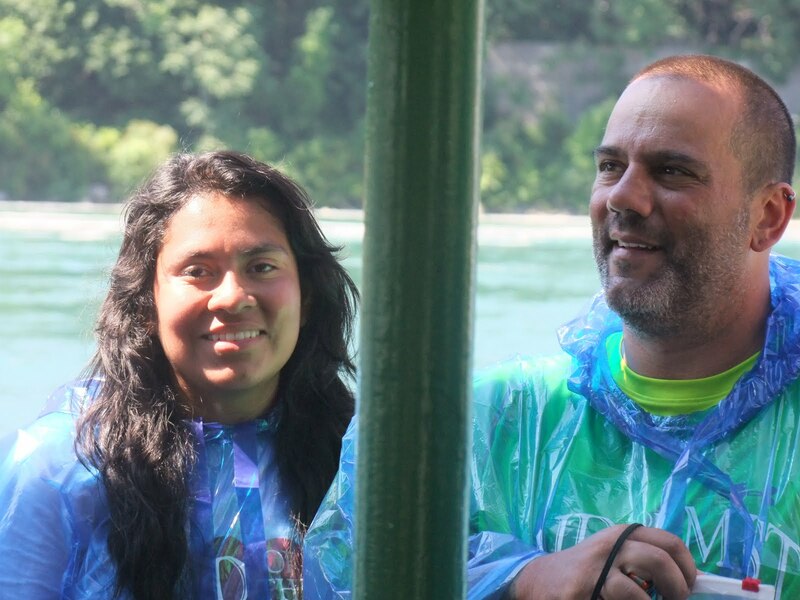 Friday July 15 – Itza – Buffalo, NY and Niagara Falls! Today is the second Big DAY of this lovely adventure. If you don’t remember the first Big DAY was June 13th, the day we departed from Chapel Hill. I can’t believe we made it to this point! Our 30 days of adventure has truly become a once in a life time experience. So today I woke up in the lovely home of David and Molly. I woke up with my mind set on freedom. I had the 1st day of school feeling again. I felt like today was the day I’ve been waiting for for a really long time. I didn’t and I still can’t put words to the way I was feeling. All I really know is that I made it, we made it, we all completed an 1800 mile journey. Something 31 days ago was nothing more than a goal, an idea, a dream, a distant thought. We all made it to Niagara Falls! We did it!! I Can’t say it enough but I’m extremely proud of Jeimy, Chris, Mahlique, Houston, Kyvon, Ibn, Marshall, Mrs. Sue, Kevin, Mr. Brogden and Rich for doing this! We left Molly and David’s home and headed off on our last bike ride. On our way to Niagara Falls we got lost. We were on a bike trail but the bike trail stopped and we hit a dead end. Everyone we asked said that we could ride a bike trail all the way to the Falls. With the dead-end ahead we decided to head back towards Ohio St and follow the directions we had printed from map quest or one of those direction giving websites. We eventually made it to Niagara St. While riding on Niagara St. Ibn got a flat so we had to stop which gave us time to figure out where we were and how we were going to get to Niagara Falls. After Ibn’s bike was ready to go we set off in search of Aqua Lane. About a mile away from Aqua Lane, Kyvon and Chris get into a minor accident. Where 3 of Kyvon’s spokes broke making it not possible for him to finish the ride. The decision to call the SAG van and call it a day was made for several reasons one being that Kyvon’s bike was unrepairable at the moment and the other was that we still had 20 or so miles to go and it was close to 3pm. 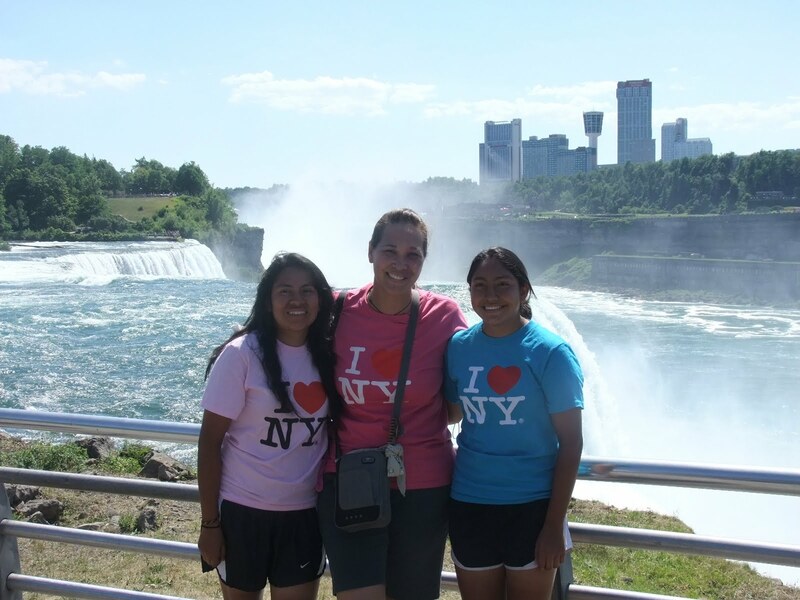 So if we kept riding we wouldn’t really get to spend enough time at Niagara Falls. When the SAG van arrived to pick us up the bikes and were ready to go. The front wheels were off the bikes. We all worked as a team to get the bikes on the trailer and locked. Niagara Falls, Niagara Falls what a beautiful sight! This is truly one day I will never ever forget! My heart was racing like never before, I was getting kinda emotional and wanting to cry because I didn’t know another way of expressing how happy I was. We headed to the Maid of the Mist area and we got closer and closer to the falls. I can’t find words to describe the natural beauty before my eyes. Once on the boat I remembered my dad asked me to call him if I had signal down there and thankfully I did! I gave him a call and to hear his voice while on the boat made me feel extremely special. I was on top of the world while I was at the bottom of the falls. Before getting off the boat I had to make sure I gave a big thanks and hug to my SnR family (except Houston who gave me a handshake since he doesn’t do hugs). Once we left the Falls we headed to CheeBurger, CheeBurger which has 1,258,000 combinations of milk shakes. We all set down and had a wonderful dinner. We laughed and talked and then got back in the car and said bye to Buffalo, NY and here we come Chapel Hill. I could not have asked for a better last day than this. Spoke ‘n Revolutions Youth Cycling UGRR Tour 2011 ~ Visit the nation’s National Parks. 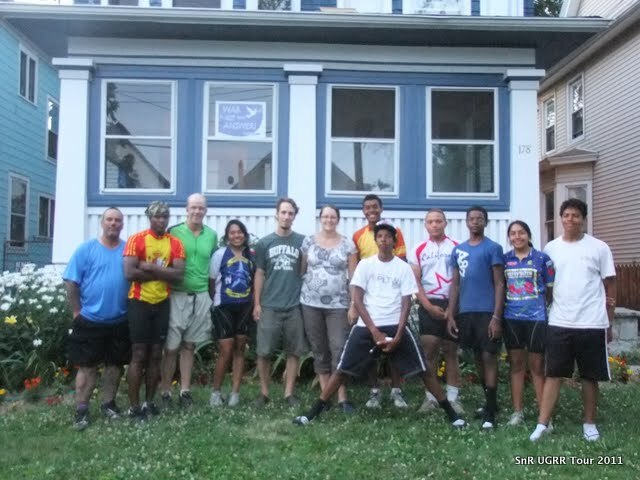 This entry was posted on July 16, 2011 by Spoke'n Revolutions Youth Cycling. 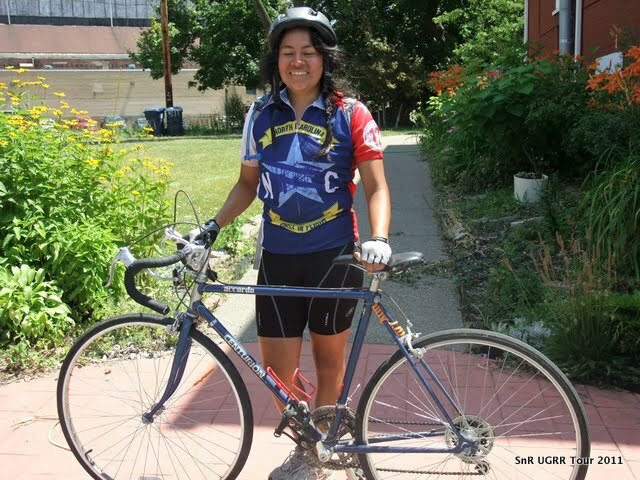 It was filed under Itza, Spoke 'n Revolutions, Spokenrev, UGRR, Youth Cyclists .